Today is the day, dearest readers! A group of exceptional historical romance authors are heading to the beach. We hope you’ll join in the fun on our Facebook page for this week’s Historical Romance on the Beach theme of A House Party by the Sea. The kickoff of 4 amazing weeks of historical romance (on the BEACH)! Throughout our virtual holiday, you will have the chance to win historical romance e-books and print books (huzzah!) 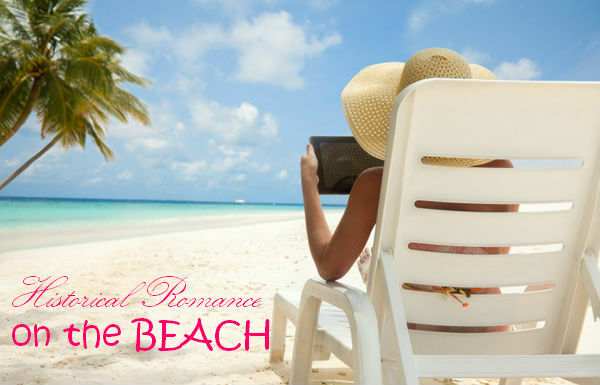 and, when we finally have to say farewell, we will be sending one fortunate beach-goer a Kindle Paperwhite–the perfect way to immerse yourself in historical romance during your own beach holiday! For the GRAND PRIZE of the Kindle Paperwhite at the end of the month, we will be tracking every LIKE and comment (counted as 1 entry) and every SHARE of our posts (spotlights, weekly discussions, THIS post and more) (counted as 1 entry). On the last day of our holiday, we will host a Farewell Tea–on the beach, of course!–and announce the name of our random Grand Prize winner at the end (US residents only). So ready your parasols, ladies–it’s time to go to the beach! My post is first up and I’m introducing readers to my latest release, INVITATION TO PASSION (My Lord’s) and I’m giving away an eBook copy of invitation To Ruin and a $10 Amazon Gift Card. So pop over to our Facebook page – Historical Romance on the Beach and be in to win! Also don’t forget – TEMPTED BY HIS TOUCH: LIMITED EDITION BOXED SET OF TEN Dukes, Rogues and Alpha hero historical romances is $0.99c only until 21 September.